Google has begun rolling out the latest update to its signature search app to the beta channel. Version 7.22 appears to be a bit less ambitious than most recent updates, as existing features don't seem to be changing and most of the upcoming features aren't getting any major changes. Actually, most of the teardown is about follow-ups to things we've already known about. Nevertheless, there are new topics to discuss, so let's get right into it. If you're a fan of pixel-level differences, there probably isn't much that tugs at your heartstrings more than some rounded corners. Okay, maybe that's a bit extreme, but the latest update does bring some rounded corners to an obscure spot in the app: The Customize Feed screen. Since almost everything else in the Google app has rounded corners, even search results, this was just like wrapping up a loose end. – Thanks, Jonny5. This is the only visible change that has popped up since updating, but this app is notorious for enabling features after rollout, so keep an eye open for other things that may come alive with time. We've know for a while that buying things with Google Assistant would become a relatively common activity. In fact, you can already order a few things through a Google Home today, but the selection of voice-ready retailers is still pretty limited. As we get closer to the launch of smart displays, which will certainly provide – and probably even feature – the ability to buy things with ease, Google is getting ready to add a dedicated page to the Google Assistant settings screen, and it's 100% focused on your purchases. The new Purchases entry will appear in the list of services at the bottom of the Assistant settings screen, directly between Shopping List and Shortcuts. It looks like it will have some purchasing settings, and it's likely to also include a list of recent orders. Google added a customizable search widget back in October, making it possible to style a search bar so it could fit into most launchers and themes without standing out too much. New additions to the APK suggest there are improvements planned for the editor. 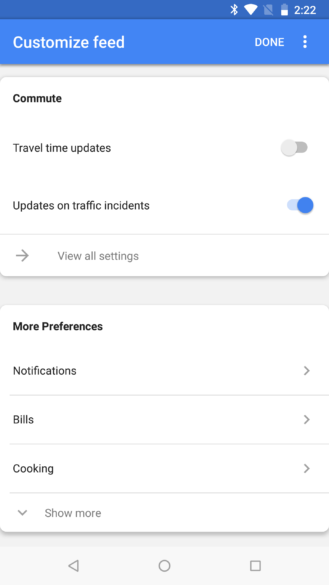 To begin with, a Customize Widget command will be added to the navigation menu (launch the Google app and tap on the bottom icon to the far right with three horizontal lines). You'll be able to reach the widget editor from here. I have a feeling this means the overflow menu will be removed to prevent people from accidentally hitting it, and all changes to the widget will be done through this route. Of course, you can't always get a perfect sense of what a widget will look like if it's only visible by itself in the editor. There will be another option that makes the final fine-tuning way more convenient. Users will be given the option to add a button to the widget that can be used to immediately reload the editor. Since there are many people that never even got the customizable search widget, and still more for which it was available and then vanished, it's promising to see that things are happening here. It was starting to look like Google was on board with this, but changed plans shortly after launch. Most updates to the Google app carry at least a few tweaks and adjustments to phrasing, and often add a few new lines of text that will be used when a feature launches, or sometimes even after it's already live. This particular update was pretty heavy with these changes. Rather than re-describe everything, I'm going to just list the additions and link back to the original coverage. 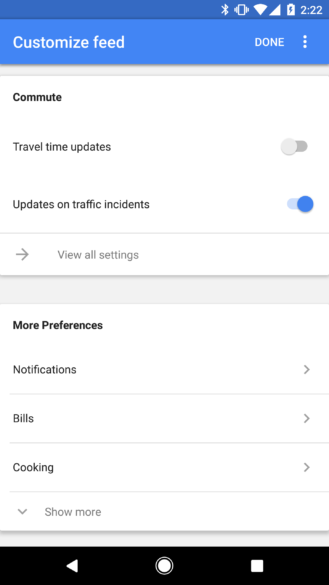 A few more lines were added for Tuning your Google Feed. The top line hints that there will be a list of things to choose from, and you'll see less of them (or it). More text was added for Quartz, the codename for the smart display interface. Most of it has to do with formatting reader-friendly ways to express dates and times, but there are also some lines related to shopping and one for muting the microphone. Voice-enabled services that work with Google Assistant already support user ratings, but they don't provide much insight beyond that. But they will also get user reviews at some point in the future. There has already been a trickle of clues for this one going back a couple of months, but never enough to put together much of a topic. And finally, Routines are still a work in progress. There's not much to see, but two new strings at least prove Routines haven't been forgotten. However, beyond proof of life, we're just looking at a couple of error messages, so there's not really very much else to say.